How We Do What We Do! Where is God on Tuesday? 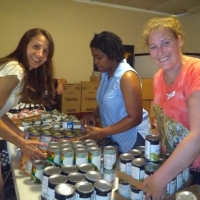 Volunteers are needed to help serve at this months food pantry distribution! Serve for an hour or for the day. Each month we provide groceries for over 275 households! Please fill out the volunteer form below to sign up!